Slots are generally considered the easiest type of game to play as no skill and previous experience are involved. Practically, anyone can collect a payout as long as Lady Luck is on their side as the outcome of each single slot spin is governed by Random Number Generators and is based entirely on chance. Because of the technological progress in the past two decades, slot fans are now able to set the reels in motion from the very comfort of their surroundings as hundreds of online casino operators have added a wealth of slot titles to their gaming libraries, allowing players to engage in their favorite games on an extensive range of desktop and mobile devices. The diversity of themes and features online slots boast is truly staggering, to put it mildly. However, those who are new to this type of game, as simplified as it is, should first become familiar with some of the most widespread terms they may come across when spinning the reels at their favorite online casino. Below, we have compiled a short glossary of the most prevalent slot terms players are likely to come across. Autoplay is among the most common features slot players can come across. When activated, this feature will play through a predetermined number of spins without players having to hit the Spin button after each round. The result and the amount won are displayed on the screen after each Autoplay spin. Players can opt for adjusting the settings so that the Autoplay feature gets deactivated after a given number of spins, or after a specific amount of credits has been lost or won. The bank is a row of slot machines which utilize similar denominations. The machines in a particular bank are often similar or offer the same type of game. A blank spot on a slot machine reel between two symbols. Also sometimes referred to as a ‘ghost’. The term stands for the number of coins players bet per active payline on each spin. In other words, the bet level is a multiplication of the coin value players use. The number of coins you can bet per line is game-specific and usually varies between one and ten coins per spin. For example, if a player selects a bet level of 3 coins, with a denomination of $0.05 on a slot with 25 active paylines, they will practically wager a total of $3.75 per round. The majority of online slots have a button that reads “Bet Max”. The said button enables players to automatically bet the maximum amount allowed per spin with a single click. This is to say you will play all paylines available in the game at the maximum number of coins, at the highest possible denomination. For instance, if the highest bet level in a 25-payline game is 4 coins, with a top value of $0.05, you will play a maximum of $5.00 per spin. As the name of the term indicates, it refers to the player betting only one coin on the paylines they have activated. In some slots, there is typically a button that reads “Bet One” which enables slot fans to place the minimum number of credits allowed per spin with a single click. However, players are not always recommended to make use of this feature as the bonus rounds in many slots are usually based on the maximum bets. The same applies for progressive jackpots where players need to bet the maximum amount to qualify for the large prize. The progressive jackpots on some slots have what is called a “boiling point”, which means that the huge prizes are triggered whenever a specific, predetermined amount of money has been accumulated in the prize pool. The boiling points of such slots are usually displayed below the jackpot meters and can serve as a reference point as to when the pot will hit. Most advanced video slots have bonus games which enable players to boost their profits. The bonus games usually load in a separate screen than that of the base game and offer guaranteed cash prizes. In many cases, players are required to pick one or more hidden items such as treasure chests or gift boxes, with each item containing a given monetary prize. However, such bonus features are game-specific and may vary wildly from one slot to another. These are special symbols in certain video slots which typically activate the aforementioned bonus games. 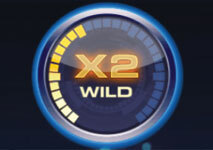 Players are required to land a given number of bonus symbols on the reels in order to unlock the bonus mini game. On occasions, the bonus symbols may also trigger a round of free spins, depending on your preferred slot title. This is a bank of slot machines in an oval or round formation. This is a casino employee who provides change to players. The term stands for the coin denomination players can select in slot games. In other words, the denomination represents how much the coin players have chosen is worth. The most widespread coin values include 0.01, 0.02, 0.05, 0.10, 0.25, 0.50 and 1.00. The available coin values are also game-specific as there are slots where players can choose denominations of up to 5.00. Comps are rewards granted to slot players such as free hotel accommodations, buffets or free perks. The term refers to a denomination associated with that particular slot machine. A dime can be ten cents, ten dollars or one hundred dollars, so be sure to check the machine to see what a dime means. This abbreviation stands for Electronic Gaming Machine or a video slot machine. Players can engage in different slots in practice-play mode, so they can test the online casino software. No money is required to play. This is a widespread feature of video slots, allowing players to go through a predetermined number of spins without having to bet any of their own funds. More importantly, players get to keep the winnings they have generated during the rounds of free spins. On some slots, the free spins actually have multipliers attached to them to boost players’ profits even more. The rounds of bonus spins are usually activated by special symbols, such as the wilds or the scatters. On some online slots, players cannot adjust their coin value simply because there is only one denomination available in the game. Some of the slots developed by software supplier Rival fall into this category. This is a side-feature you can come across while playing slots by software developers like BetSoft, Microgaming, and Playtech, among others. Once players have earned a payout on a given spin, they are provided with the opportunity to double or quadruple their winnings by playing a side game. In most cases, the side game in question involves a coin toss. In some instances, players need to guess the color of the suit of a playing card that is facing down. Keep in mind that if you lose in the side game, the winnings you have generated on the last spin will be subtracted from your balance. Hand Pay is when the player receives a cash payment from a slot attendant. A hand pay is normally made when the machine does not hold enough money to pay a player his winnings. This term refers to players landing a winning combination on an active payline on any given spin. This feature is commonly found in many classic, 3-reel slots. In most cases, the hold is awarded at random and enables players to freeze one or two reels, so that they remain static while the others are set in motion. This way if the player has suffered a near miss on the last spin, they get a free attempt at completing their winning combination on the next spin (or spins). The line bet stands for the amount players wager on each payline they have activated. The line bet is adjusted by selecting the coin denomination and the bet level, or the number of coins/credits you bet per active payline. Experienced slot players typically opt for betting on the so-called “loose” slots because such games have higher average return percentages and tend to land winning combinations more often. Such games offer more frequent but smaller wins and are often referred to as “hot” slots. The multiplier is not to be mistaken with the bet level. This is a special symbol which sometimes comes in conjunction with wilds or is available in free-spin mode. As the symbol’s name indicates, it multiplies the player’s payout on a given spin by a predetermined amount. The most commonly spread multipliers are 2x, 3x, and 5x but there are online slots where players get to multiply their payouts up to 100x, or occasionally, to 1,000x. Most advanced video slots feature 5 reels and have multiple paylines, which means there are more ways for players to form winning combinations of matching symbols. 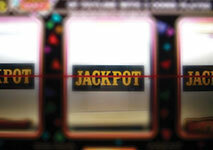 In comparison, classic slots with 3 reels usually have between one and five paylines. This is what all slot fans dread to see appearing on the screen. The term refers to a situation where the last symbol, needed to complete a winning combination, appears just above or below the payline that would have lent a hefty payout. This is especially annoying whenever it happens on a combination which could have potentially triggered the slot’s jackpot. The nudges are a feature, similar to the hold functionality and as such, are prevalent in classic, 3-reel slots. The feature enables players to move one of the slot’s reels up or down, either a single time or several times in succession. This way, players can potentially form more winning combinations and avoid the frustration resulting from the near misses. The paylines are a fundamental part of any slot, regardless of whether it is a classic, 3-reel game or a more advanced video slot. In order to pay out, matching symbols need to line up across active paylines. The higher the number of paylines, the bigger chances players have to hit winning combinations. The paylines can either be fixed or adjustable. In the first case, players need to bet one or more credits on all lines per every spin. In the second instance, one gets to choose which lines to activate and bet on, but only the active lines will pay on winning combinations. In most cases, matching symbols pay out from left to right, but there are slots which pay either way. Each and every slot has a paytable where players can find extensive information on how matching symbols pay. Typically, the highest-paying symbols are listed first, followed by the low-paying symbols, represented by high playing cards. In addition, the paytable contains information on the slot’s additional features, such as bonus games, free spins, wilds, scatters, and bonus symbols. Slots with progressive jackpots are exceptionally popular because they are usually linked together in a jackpot network so the pools accumulate across multiple casinos that utilize the same software. A small amount of each player’s bet is subtracted. Part of it goes towards the accumulation of the prize pools, while another part contributes to the jackpot’s seed. Once someone wins the pot, it is reset and starts seeding at a specific base amount until it escalates to a life-changing sum again. the results of subsequent spins are not affected by what has happened on previous rounds and vice versa. The reels are the vertical sections that are set into motion when players press the Spin button. The symbols are displayed on the reels, respectively. Slots commonly have either three or five reels. However, it is possible for players to come across titles where seven reels are available but these usually are of limited availability. Some online slots have an additional feature which enables players to retrigger rounds of free spins, which can potentially lead to the accumulation of more profits. More often than not, the bonus rounds are retriggered by the same symbols that have activated them in the first place. Sometimes it is possible for players to retrigger the bonus rounds several times in a row. When choosing a slot, players need to check its average Return to Player Percentage (RTP). This indicates what amount of money the slot is preprogrammed to give back to players out of all wagers made on the game. If the RTP is 96%, this would mean that the casino gets to keep $4 out of every $100 on that particular slot. Even though it takes hundreds of thousands of spins for the average return to even out to the specified percentage, players are generally recommended to opt for titles with RTP that exceeds 95%. Scatters are a favorite among slot fans as they can potentially unlock various bonus features, like mini games with guaranteed monetary prizes and free spins. More importantly, there is no need for scatters to end up on a particular payline in order for the players to benefit from them. Variance (also known as volatility) is one of the most important things to factor in when choosing which online slot to play. It represents the ratio of the slot’s hit frequency and the size of the payouts. Slots with high variance hit less frequently but offer better payouts on winning combinations. Slots with lower variance, on the other hand, hit more often but the payouts are smaller. Which type you should choose depends solely on your bankroll size and style of play. Video slots are more graphically advanced in comparison to their traditional 3-reel cousins. They often feature multiple paylines and have extra features that further add to their entertainment value. On many occasions, video slots also come with engaging animations whenever a combination of winning symbols lands on the paylines. Wilds are yet another lucrative symbol all slot fans think highly of. The wilds can practically substitute for almost all other symbols with the exception of the bonus ones and the scatters. However, the wilds typically need to fall on a payline in order to help players complete their winning combinations.